As 2008’s The Children opens, all she wants to do is celebrate New Year’s with her friends. Instead, her mom and her stepfather are dragging her off to some stupid house in the middle of nowhere, where she’ll have to hang out with her aunt and her dorky uncle and she’ll also be expected to look after not only her two much younger cousins but her two half-siblings as well! Even worse, once they arrive at the house, all of the young children start to complain about feeling sick. One of them even throws up. Everyone assumes it’s just car sickness but could it be something worse? This is actually the second film called The Children that I’ve reviewed for this site. The first one was a film from the early 80s that featured a school bus driving through a toxic cloud with the end result being a bunch of homicidal, radioactively-charged children. In the second version, it’s left a bit more ambiguous as to why the children have suddenly turned homicidal. While it’s established that that they’re suffering from a virus, the film never tells us where the virus came from or even how it was contracted in the first place. In fact, until the film’s last few minutes, the audience is never quite sure just how far the infection has spread. That ambiguity is what gives this film its power. There’s nothing scarier than not being sure what’s going on. The Children is a grim and disturbing horror film, one the features very little humor and which ends on an ominous note. It’s a film that exploits something that we all know but rarely want to admit, which is that children can be incredibly creepy. We tend to idealize children, which is exactly what the children in this movie use to their advantage. 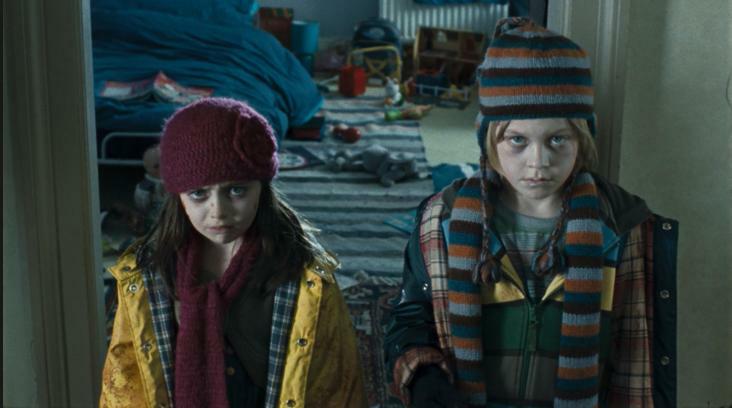 The Children is also a very well-acted horror film. Hannah Tointon is sympathetic in the lead role while all of the killer children are played with a proper combination of savagery and innocence. This may very well be the best killer children film ever made.